The Philippines placed 2nd among 178 countries that have suffered the most extreme weather events such as flooding and typhoons last year, according to the 2014 Global Climate Risk Index. The study, presented at the UN climate talks in Warsaw by European organisation Germanwatch, shows that poorer developing countries such as the Philippines were hit much harder during the period 1993-2012. Haiti, the Philippines and Pakistan led the list of the most affected countries. Extreme weather had killed 530,000 people and caused losses of more than US$2.5 trillion. According to Soenke Kreft, co-author of the report, the indicators they used are total death tolls, number of events, loss of property for each person and loss of gross domestic product. Kreft said the unfolding human tragedy caused by Super Typhoon Haiyan, where thousands are feared to have died, would only be captured in the next report. The report shows that Typhoon Bopha that hit the Philippines in 2012 claimed over 1,400 lives, topping the list for most human casualties of the year for the second year in a row. 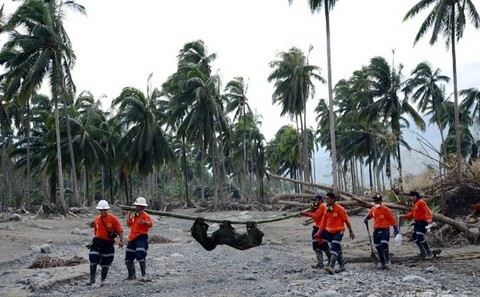 While many developing countries are already taking measures in preparation for climate-related disasters and for adaptation, Christopher Bals, political director at Germanwatch, said the report underlines the need for developed countries to provide adequate financial and institutional support to help poor countries boost their disaster preparedness and resilience. “Typhoon Haiyan which hit the Philippines should act as a wake-up call for world leaders here at Warsaw to seriously consider adaptation and climate funding,” Bals told the news website InterAksyon.com at the sidelines of the conference of the UN Framework Convention on Climate Change. According to Philippine Climate Change Commission secretary Maryann Lucille Sering, the new report is a validation of the vulnerability of developing countries to the effects of climate-induced disasters. Vicky Tauli-Corpuz, Executive Director of Tebtebba, an indigenous activist organisation from the Cordillera region, said she is not surprised by the study ranking the Philippines among the worst-hit countries. ASEAN for a Fair, Ambitious and Binding Global Climate Deal (AFAB), a partnership between Oxfam’s East Asia GROW Campaign and Greenpeace Southeast Asia, said the regional bloc needs to help take a more active and unified stance in the UN climate talks.